Using a variety of hand-building techniques, students create a clay plaque depicting life under the ocean’s waves. Seas and oceans have such an abundance of amazing plants and animals to discover. What kinds of creatures can you think of? Dolphins and turtles and fish, oh my! Students discuss different types of sea life and examine photos before they are shown how to create an underwater scene with clay. Step by step, they learn how to roll coils and balls into a variety of shapes to complete their underwater scene and make it come to life! 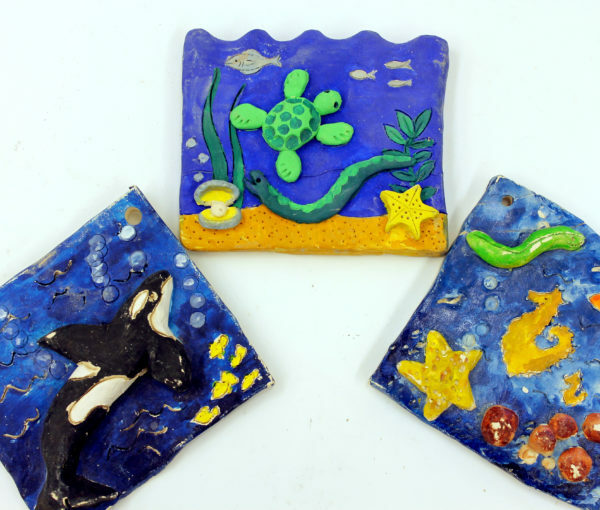 Be introduced to clay and the many different hand building techniques that will enable them to create an unique and impressive under water scene based on past and newly acquired knowledge of animals and plants that live in our seas and oceans. Learn basic clay hand building techniques and specific art methodologies that they can implement into their own classrooms. Please bring your confirmation letter and AHF locations map with you. Field trips start and end as indicated on your confirmation letter. If bussing is late, instructors may modify your field trips in order to finish on time. Field trips are booked 30 minutes apart to allow for cleanup and preparation for the next class. Please be mindful of walking students through a public space and keep voices low while removing coats in the Visual Art hallway outside of the studios. 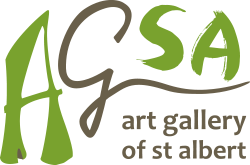 Teachers will receive an email when clay projects are ready for pick up at the St. Albert Place Painting Studio approximately two weeks after the field trip takes place. Projects can be painted back in the classroom with acrylic paint.